A reader of ours was cruising through Samsung’s product registry site recently to input his brand new Galaxy Note 3 and noticed a listing that should grab the attention of the tinkerers in the building. 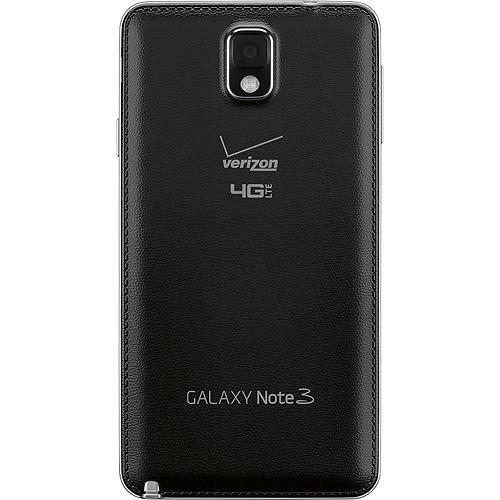 Listed along with the black and white Galaxy Note 3 variants for Big Red was another listing for a Developer Edition with a “Coming Soon!” note attached. We had yet to hear of Samsung’s plans for a developer edition of the new Note 3, but in the past have seen them release phones with unlockable bootloaders sold at full retail prices. 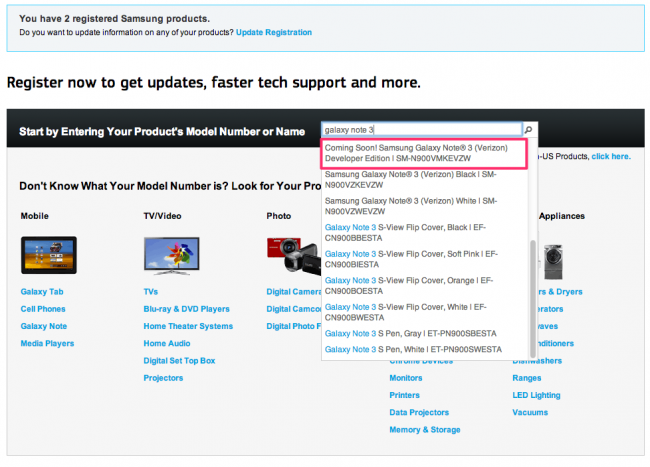 Devices like the Note 2 and Galaxy S4 both came in Developer Editions. We still have no official word on a release, but we tend to see a buffer between the carrier launch of a phone and the release of a developer edition. Sometimes we see DEs become available in a matter of weeks; other times it can be months. I’d imagine the phone would be priced around $699, which is the current full retail of the Note 3 through Verizon.